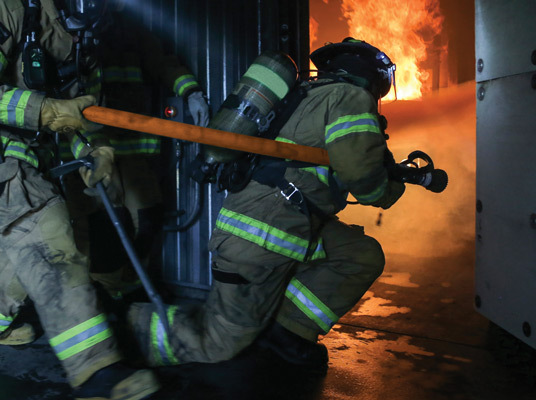 For the employees, dealers and firefighters throughout the U.S., 2018 represents a great achievement for Key Fire Hose. It marks a new milestone as we celebrate our 30th anniversary as America’s leader in the design and manufacture of woven jacketed and rubber covered fire hose products. From the keen vision and dedication of one man, Charles Genthner, Key Fire Hose vows to remain innovative and responsive to a market that requires an arsenal of products that is second to none. 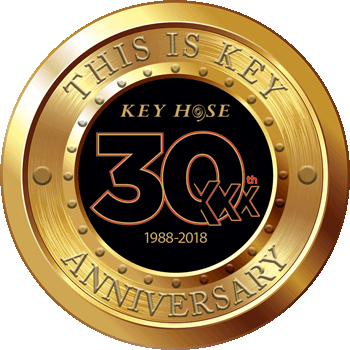 We’d like to salute all the employees, dealers and fire departments who have made Key Hose the preferred choice for 30 years and counting. At Key, we are dedicated to design and manufacture of the highest quality fire hose products, combining the best in raw materials with expert craftsmanship. 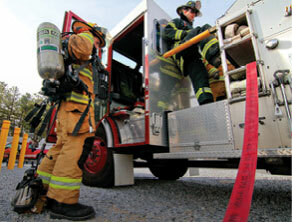 Our supply and attack lines deliver superior performance in the multitude of environments that firefighters encounter. We continually improve every process and product, to meet ever-changing industrial requirements. Our complete line of woven jacket and rubber covered hose products are designed and engineered for maximum performance in industrial fire suppression, dewatering, wash down, construction, military, mining, and petrochemical applications. 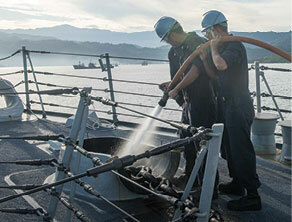 Our fluid transport products are among the most technologically advanced in the world. 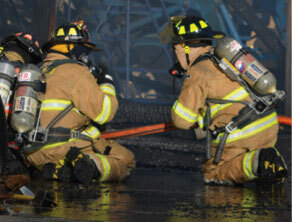 A unique through the weave construction, guarantees hoses are strong, durable, lightweight, flexible and easy to handle. 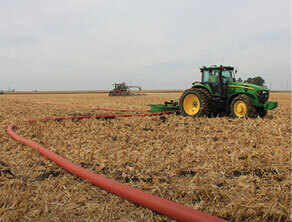 Ideally suited for irrigation, agricultural sludge/slurry, manure, mainline supply or fracking. Get the wet stuff on the red stuff, fast and effectively with our Key Factor Friction Loss Calculator. Developed to calculate friction loss specific to a wide range of Key Hose products. 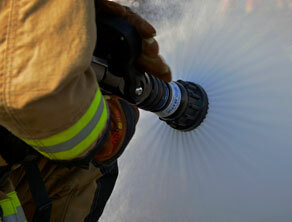 All Key Hose products undergo stringent testing and inspection guidelines. 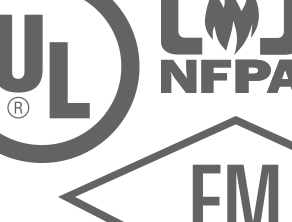 Our rigid manufacturing and quality standards allow us to provide third party approvals and listing including NFPA, FM, UL and ULC, NSF and MSHA.